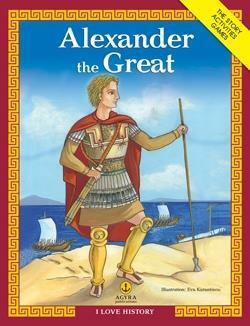 Alexander the Great was one of the greatest figures in world history. He was son of King Philip II of Macedon and Queen Olympias. As early as the age of twenty he became a king. His great dream was to conquer Asia, which he managed to make come true within a decade or so. He founded several cities bearing his name, which were turned into cradles of Greek culture. This book comprises several activities and games helping young readers consolidate the basics of Greek mythology.